Kenton County Public Library – Page 2 – Preserving yesterday, enriching today, inspiring tomorrow. Join the party! On Sunday, April 27, the Erlanger Branch Library will host our annual celebration of El día de los niños/El día de los libros – Children’s Day/Book Day. This event is a celebration of children and literacy, with an emphasis on the diversity of families and languages in our community. Día is a daily commitment to linking children and their families to diverse books, languages and cultures. This daily commitment culminates each year in a community wide celebration on or near April 30th . El día de los niños/El día de los libros has its roots in the observance of Children’s Day, which began in 1925 as a result of the first “World Conference for the Well Being of Children” in Geneva, Switzerland. All over the world, countries adopted official dates to celebrate Children’s Day. The United States is one of the few developed countries that did not designate an official Children’s Day observance! Our neighbor Mexico selected April 30 as their day to celebrate children, and they named it El día de los niños – Children’s Day. This day is quite a huge celebration across Mexico! Schools have carnivals, towns have parades, and children receive special treats. Mexican immigrants in the American southwest brought their observance of Children’s Day into their communities in this country, and in 1996, a children’s author named Pat Mora noticed (www.patmora.com ). 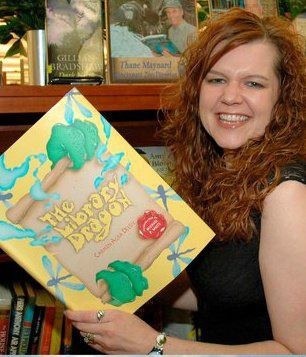 She thought it was a wonderful idea to celebrate children, but her background as an educator and author led her to think that it would be even better to celebrate children’s books! That was the beginning of El día de los niños/El día de los libros (Children’s Day/Book Day). Over the years, with the support of children’s librarians and teachers, Pat Mora’s idea has spread across the country. This year, hundreds of libraries and schools will celebrate Children’s Day/Book Day sometime near April 30. For a decade now, the Kenton County Public Library has partnered with the Public Library of Cincinnati and Hamilton County (www.cincinnatilibrary.org ) to present one community Día celebration. We alternate locations each year. This year, the celebration will be held at the Erlanger Branch on Sunday, April 27 from 1:00 p.m. to 4:00 p.m. We will have book related crafts to enjoy, as well as face painting and mascot meet-and-greet opportunities. At 2:30, enjoy Family Zumba with Deb Yaeger of Deb’s Fitness Party (www.debsfitnessparty.com ). 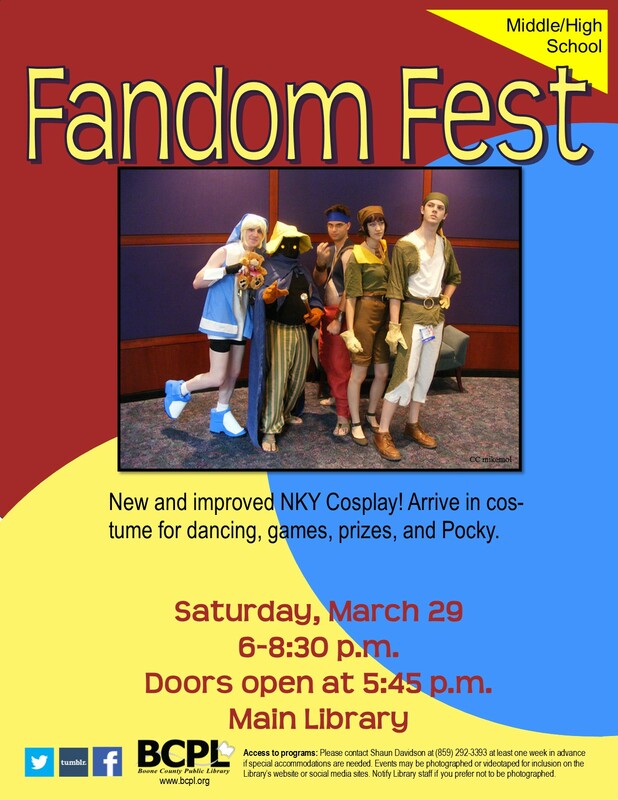 At 3:15, there will be a demonstration of Korean Martial Arts with Mr. Kim’s Martial Arts, a local Erlanger organization (www.kimskoreanmartialarts.com ). At 3:45, join us for International Storytime. This is always a highlight of our celebration. We will gather as many as 10 individuals who speak different languages, and read the same book in all those languages! 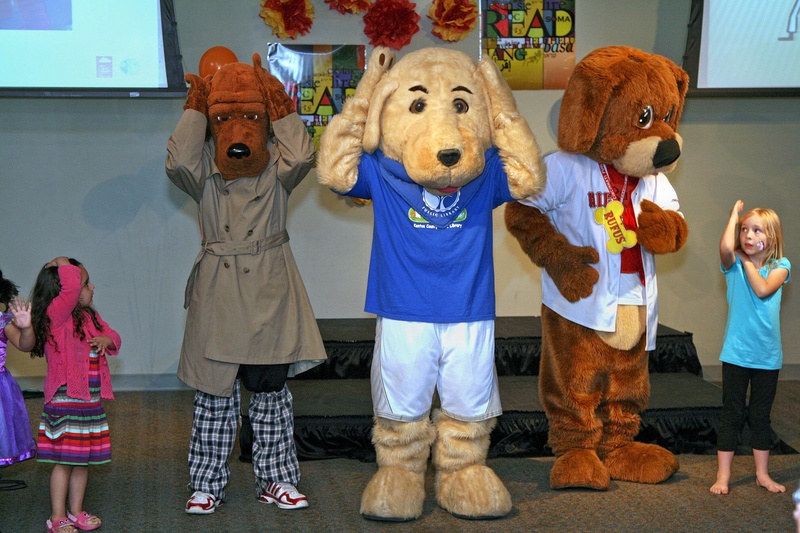 Our celebration ends at 4:00 with our Mascot Macarena dance party. We will also provide a free book for every child ages 12 and under who attends our celebration, while supplies last. Please contact Lise Tewes at the Erlanger Branch Library (859-962-4000 X4109; lise.tewes@kentonlibrary.org ) if you have questions or want more information. We hope to see you on Sunday, April 27 to enjoy El día de los niños/El día de los libros (Children’s Day/Book Day). It’s prom time, so let’s talk about hair and makeup! If there’s one thing I (Jessy the Librarian) love as much as stories, it’s probably lipstick. Or maybe eyeliner. One of the best place I’ve found for (non-video) makeup/hair tutorials is The Beauty Department. I love the idea of a metallic eye, especially if your dress is more of a matte texture, like tulle. Last month, OPI released 4 sheer tint polishes. 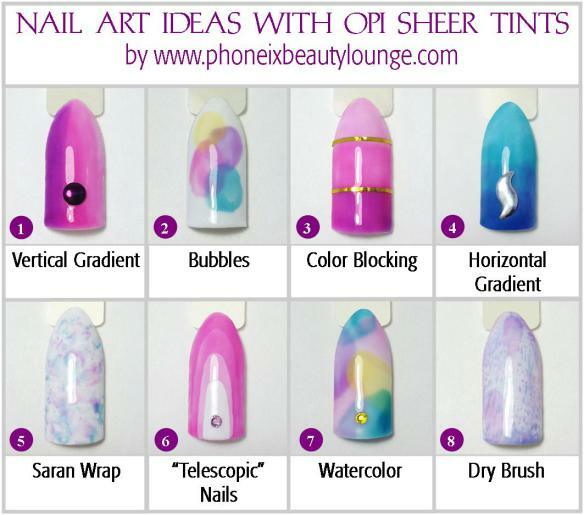 Look at all the pretty ideas Phoenix Beauty Lounge came up with! When it comes to pretty hair, my own personal taste is basically “shove it all up behind your head in a messy chignon or at the nape of your neck in a messy bun with lots of pretty bobby pins.” But this isn’t a blog about what Jessy the Librarian would dress up like; it’s full of tips and tricks and DIYs for all sorts of tastes! If you have straight hair (or want to straighten your hair for prom), Martha Stewart has lots of guides. If you have curly hair, there are guides for pretty updos here and here. 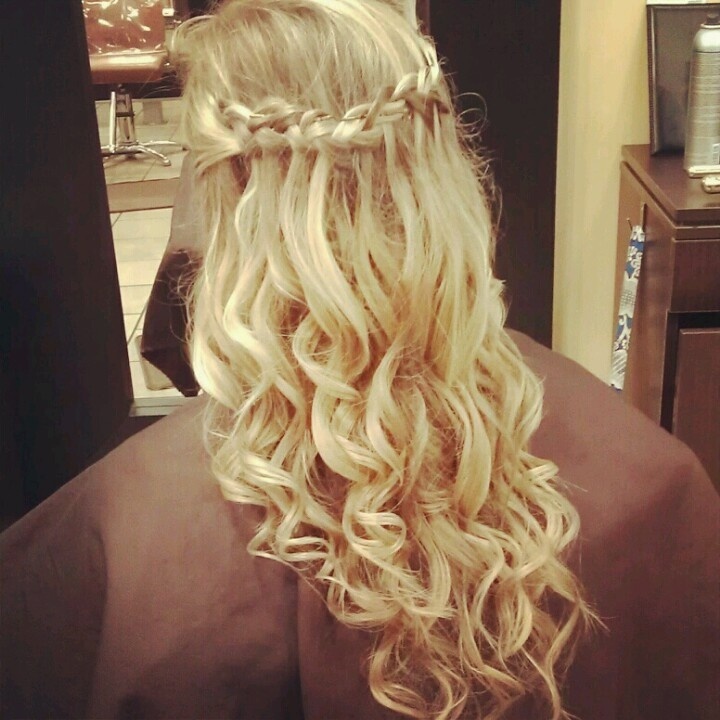 If you want complicated pretty braids (and really, who doesn’t), what about a waterfall braid? Here’s a tutorial video I found on youtube. Want more ideas for prom hair and makeup? Check out our prom-related pinterest board! This post was written by Durr Young Adult Librarian Jessy. The Kentucky Post headline the evening Matt won the Epsom Derby. The win marked a first for anyone from the Cincinnati area in the race and one of the few times to that point an American owner and jockey took the event. On May 27, 1914 a record crowd gathered at the historic Epsom Downs in England for the annual running of the world’s greatest horse race, the English Derby. The dramatic death of suffragette Emily Davison on the track the year prior and the nearly unprecedented 30 horse field drew a large crowd who knew that quite anything could happen at the annual event. The tension mounted precipitously at the post line as the horses waited for the starter’s signal. Matt McGee, an American jockey born and raised in Covington sitting atop of his fine colt Durbar II, stared down the track towards the outside rail and saw the crowd favorite Kennymore growing anxious for the start. At 9-4 odds, and with Europe’s top jockey and future racing Hall of Famer Frank O’Neill aboard, the horse was thought to be shoo-in for victory, even with the crowded field. The other rival for the title, Brakespear, owned by none other than the King of England himself, waited patiently close to the inside rail. The 20 minutes standing at the line must have seemed like an eternity for the horse, however, as he frequently backed away from the starting tape. The signal to go caught Brakespear off-guard and led to a poor start while the anxious Kennymore took off perpendicular to the rest of the field, racing directly towards the inside rail. Matt aboard the winning Durbar II, with H.B. Duryea leading the pair into the winner’s circle. This photo from a March 1909 edition of the Los Angeles Herald shows the jockeys at Santa Anita during the racing season. Matt is second from the left in the bottom row. Matt aboard Flowershop after winning the Prix de Diane in 1920. The race is the equivalent of the Kentucky Oaks, run the day before the Derby, open to three year old fillies and run at the Chantilly racecourse outside of Paris. 1914 English Derby was cut short, however, when nearly one month to the day after the race Austro-Hungarian prince Franz Ferdinand was assassinated in what amounted to the sounding bell for World War I. As nations mobilized for war, racing was shut down and many jockeys and horses were called to serve in the fight. In late September, 1914, Durbar was smuggled out of the war zone draped in an American flag and declared “neutral” in the fight, as he eventually made his way to the United States. Matt and his family left as well for a time, though they eventually returned amid the fighting when racing resumed on a limited basis in 1915. Matt and his family stayed in France after the war as well and his racing career continued relatively unimpeded into the 1930s. He perpetually finished towards the top of the list among winning jockeys, though most often finding himself in second place behind rival and friend Frank O’Neill. Upon his retirement, he settled in to a comfortable life training and raising horses for the Rothschild family near his home outside of Paris. The bellicose calls for war sent Matt home again in the spring of 1941 after the German army overran his town and reportedly used his home as officers’ quarters and as a base of operation. He returned to Covington alone to a family he had not seen in nearly a decade. His wife and daughter soon followed, though the family never reunited totally. His wife Laura fell victim to cancer and died in Chicago in 1945. Matt followed in October 1949 and was laid to rest in Mother of God cemetery in Fort Wright. His daughter returned to France after the war and according to family lore, sought to reclaim the family’s lost fortunes. As we approach another Kentucky Derby this coming May, we are all reminded of the importance of the horse racing industry to the state’s history. The Kenton County Library offer vast resources for those interested in learning more about racing history. The Keeneland Racetrack library, in partnership with the University of Kentucky and the Kentucky Virtual Library, has digitized nearly the entire run of the Daily Racing Form. In addition to form charts, race results, and general racing news the paper also covered political activity relating to national issues, like the interruptions of the World Wars, and local issues like the battle over the annexation of Latonia to the city of Covington. The Latonia Racetrack’s prominence in the industry also made it a popular topic in local papers. Digital editions of the historic Cincinnati Enquirer and the Louisville Courier Journal are available for access in the library or at home with a library card. The Northern Kentucky Newspaper Index also has coverage of some local figures and events and patrons can access the newspapers on microfilm in the Covington library. Finding information outside the United States can be much trickier and may require some language fluency, but information is available. France has a wonderful collection of digitized photos, periodicals, and books available through their national library and keyword searches can reveal a wealth of information in addition to offering a different perspective on events in the United States. Contact the Local History and Genealogy Department at the Covington Branch of the Kenton County Library if you would like help researching anything related to local or national racing history. Also stop by the branch for a display with more about the history of Matt McGee’s racing career. Davison, the suffragette, threw herself in front of the King of England’s horse as he approached the finish line and became at martyr for the suffrage cause in the British Isles. In 1914, a policeman was shot by Ada Rice, a presumed suffragette, but no serious injury occurred. The prize money alone would be valued at close to $1 million today. See Maryjean Wall’s great book, How Kentucky Became Southern, for more on this process and the rise of racing overall in the state. Check out James Claypool’s fine history of the Latonia Racetrack, The Tradition Continues: The Story of Old Latonia, Latonia, and Turfway Racetracks for a good comprehensive history of Racing in northern Kentucky. Many people have trouble decluttering because they see their clutter as piles of cash that they spent. I know that I am less of an impulse shopper now that I have given away items that I had to have but then never used. Decluttering is humbling. You realize you have more than you need and often wish you could have a “do over” and get that money back. Before the great recession of 2008, I could make a great deal of money back on my used items through garage sales, eBay sales and consignment stores. But since the recession – many people have joined the resale community and driven down the price people are willing to pay for used items. This spring as you are decluttering your house, set up a selling and donation staging area. You can earn some summer fun money by taking your items to various resale shops. Set up EARLY and be prepared for people to come even earlier. I usually have mine on a Friday from 8-2 and Saturday 8-12. I don’t even price my items anymore. You can have a blanket and say everything on the blanket is $1. Market your garage sale by putting pictures and descriptions of popular items on Craig’s List. Have change and grocery bags for people to take their treasures home. Normally, I earn between $6-10 at Half Price Books. The pay is ridiculously low. I was tempted to take my last banker’s box full of books straight to Goodwill, but decided to stop by Half Price Books first. I was SO glad I did; I earned $22.50! These games are really old; they wouldn’t even take 3 of them! But I did make $29 on this stack of games. Let’s not do the math on how much I PAID! Each season, I take a few clothes out of my closet and stop by the consignment store before I hit Goodwill. I make about $75 per season selling old clothes. I turn right around and buy about 6-8 items with that money at the same consignment shop. For the past 6 years, I have spent very little on my clothing outside of consignment shops. If you have kid’s clothes, old toys or furniture, the kid’s resale shops are the way to go. You will earn even less than you will get at a garage sale, but you will get something. eBay is a great way to sell name brand items that you can sell for $20 or more. I say $20 because the fees and shipping eat up a lot of cost when selling on eBay. The best way to tell if an item is worth selling on eBay is to search for that item and see how many are being sold and at what price. Craig’s List is similar to eBay in that you are selling on line, but instead of shipping the item, you meet the buyer in real life. I have had success selling furniture this way. You need to know how much you want for the item and know people will haggle with you AFTER they come to your house. I find this annoying. For safety, I list items with the Craig’s List fake email that forwards to my email. Then, I reply with my cell phone number. I have never had a problem selling on Craig’s List, but as I mentioned above, there are “deals” for buying, but selling has been harder since 2008. I know you will not “make” money by donating to Goodwill, but you can get a tax deduction. I have always liked the convenience of dropping off my donations at the Goodwill drop off center. But last year I listened to this podcast about all the donations Goodwill takes and what they do with them. Then I went to a meeting and learned all about the amazing resource that Goodwill is to the special needs community in my area. Now when I have a donation, I feel like I am really giving and not just “getting rid of” my old stuff. So, what about you? What do you do with items you no longer need? Check out our Pinterest board on the topic! Most of us know Roald Dahl’s timeless story of the world-famous candy man and his quest to find an heir. But it’s not everyday we get to watch it come to life in this stage adaptation of Charlie and the Chocolate Factory, which features the songs from the classic family film Willy Wonka and the Chocolate Factory at The Children’s Theatre of Cincinnati. Roald Dahl’s Willy Wonka JR. featuring a memorable score by Leslie Bricusse (Jekyll & Hyde, Doctor Dolittle) and Anthony Newley, follows enigmatic candy manufacturer Willy Wonka as he stages a contest by hiding five golden tickets in five of his scrumptious candy bars. Whoever comes up with these tickets will win a free tour of the Wonka factory, as well as a lifetime supply of candy. Four of the five winning children are insufferable brats: the fifth is a likable young lad named Charlie Bucket who takes the tour in the company of his equally amiable grandfather. The children must learn to follow Mr. Wonka’s rules in the factory–or suffer the consequences. Bob Herzog, Local 12 News Anchor/Reporter and inventor of Dance Party Friday, will play Willy Wonka. Kenton County Public Library is giving away a voucher for four tickets to Ronald Dahl’s Willy Wonka Jr. on Friday, April 4 at 7:30 p.m. or Saturday, April 5 at 5 p.m.
How to enter to win: You have four chances to win. Comment separately for each entry for each chance to be considered. Enter by noon on Monday, March 24. The winner will be notified and have 24 hours to respond or another winner will be chosen. The winner will be chosen randomly with random.org. 1. Comment here saying why you want to win (required to enter). 2. Share this contest on Facebook or twitter and comment here that you did. 4. Like The Children’s Theatre of Cincinnati on Facebook and comment here that you did. Disclaimer: The Children’s Theatre of Cincinnati gave the Library tickets to give away. Library employees and those living in their household cannot win. Rhythm and Rhyme: Sensory Storytime is a monthly interactive and educational program. It is specially designed for children ages 2-6 with sensory integration challenges. It combines the books, rhymes and music of other storytimes along with physical activities to promote learning in a sensory friendly environment. Many children with Sensory Processing Disorders are extra sensitive to loud noises, bright lights, or other strong sensory environments. In this program, the lights are dimmed, the music is not as loud, and there are minimal distractions while the program is taking place. There is repetition from month to month so the children know what to expect. We also go over the activities for the day before beginning each program. After we share a short book, rhymes, and songs there is social time where interactive experiences are offered to the children. These activities include sensory tubs to search through, toys to play with, sidewalk chalk, bubbles, and other activities to stimulate tactile learning. Although this program is aimed at children with Sensory Processing Disorders, if your child has difficulty sitting through one of the library’s other storytimes, this inclusive program of stories, songs, and activities may be a better fit for him or her. If you would like to register for the program, please check our Event Calendar. If you would like further information, please feel free to contact me at julie.mills@kentonlibrary.org regarding the Erlanger Branch programs or Joel Caithamer at joel.caithamer@kentonlibrary.org regarding the Durr Branch programs. We look forward to seeing you there!